A Colorado man who claimed he was stabbed by a black man because of his ‘neo-Nazi haircut’ has been arrested for lying about the attack, police say. 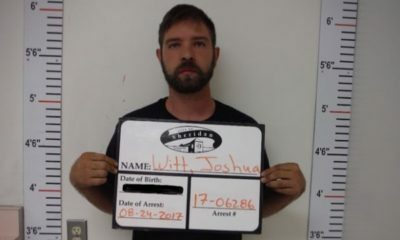 Joshua Witt, 26, had called police earlier this month to report that he had been stabbed by an anti-fascist in Sheridan. He claimed the man then stabbed him in the hand with a small knife as he tried to defend himself. But following a two week investigation, police arrested Witt last week for false reporting.Police said Witt also admitted to lying about the attack. 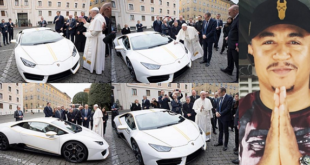 He was arrested and released on a summons for false reporting. 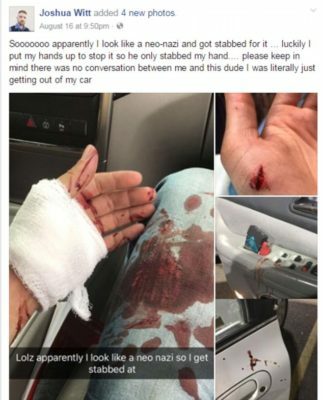 A Colorado man who claimed that someone had stabbed him because he looked like a “neo-Nazi” fabricated the story after he accidentally cut his hand with a knife, according to police. .
Joshua Witt, who has been arrested on false reporting charges, admitted to law enforcement in Sheridan, Colorado, that he lied to officers when he alleged that a black man had attacked him for having a haircut associated with white supremacists, police officials said Monday. .
Witt’s original allegations went viral on social media this month, garnering press coverage across the globe, particularly from conservative newspapers that cited the stabbing as an example of violent leftwing activists attacking white people. .
Witt – a 26-year-old originally from San Diego, California – told officers on 16 August that a suspect came up to him as he was getting out of his car in the parking lot of a burger restaurant. .
Witt, according to police, reported that the man said, “Are you one of them neo-Nazi?” and then tried to stab him with a small knife. Witt said that he was cut while trying to block the knife with his hand. .
Witt described the attacker as a black man in his mid 20s, 5ft 10in, wearing a green shirt and blue pants, and claimed that the suspect ran off toward a bike path along a nearby river. .
Sheridan police chief Mark Campbell said in an interview Monday that officers were immediately suspicious of Witt’s story, since surveillance footage of the lot did not show any evidence of a suspect running from the scene. . Although Witt posted photos on Facebook showing a lot of blood, the actual wound was very minor, Campbell said. Witt has since taken down his Facebook post, which was shared tens of thousands of times over several days. . When officers brought Witt in for another interview last week, he admitted that he had lied, police said. Witt was arrested last week and could face a fine of $2,650 and up to a year in jail if convicted of false reporting.